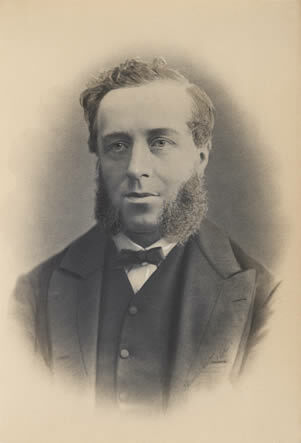 Stallard was born in St. Martin’s parish, Leicester, in 1822, the eldest son of John Stallard, surgeon, who in the 1841 census was recorded as living with his family (including Joshua) in New Street, Leicester. Joshua Stallard married a Maria Taylor (born in 1821 in Bristol) in Bedminster, Somerset, in 1848. At the time of the April 1851 census the couple were living at the very fashionable address of 30 The Newarke, Leicester, (the next door neighbour was the leading industrialist and entrepreneur John Shipley Ellis), and his profession was listed as Surgeon. His professional qualifications were also recorded: Member of the Royal College of Surgeons and Licentiate of the Apothecaries Company of London. Later the same year he became President of the Lit and Phil at the young age of only 30. His special medical interests seem to have been public health and the effects of economic and social conditions on the state of health. In 1853 he wrote to the British Medical Journal about the arrangements for implementing the new Vaccination Act, including the responsibilities (and possible remuneration) of medical practitioners. By 1858 Stallard had moved to London and in that year he was elected a Fellow of the Royal Medical and Chirurgical Society. In the Society’s register his academic qualification was listed as an MB (London), and his official position was stated to be Physician to the St. George’s and St. James’s Dispensary, Cavendish Street, London. The 1861 census recorded him as practicing as a physician with an address in Ladbroke Grove, Marylebone, while by the time of the 1871 census he was still practising a physician, this time King’s Road, Willesden, London. By then he had published a study The female casual worker and her lodging (London 1866, 143pp. ), which was followed the next year by his substantial and much-discussed book: London Pauperism amongst Jews and Christians. An inquiry into the principles and practice of out-door relief in the metropolis and the result upon the moral and physical condition of the pauper class. (London: 1867, 367pp.) At the British Medical Association Annual Meeting of October 1871 Stallard gave a major paper on “The Health of Operatives in Factories and Workshops”, arguing strongly for the need for good fresh-air ventilation throughout workplaces in the interest of the health of those working there, which attracted considerable attention from some of leading medical figures of the day. Sometime in the first half of the 1870s he seems to have emigrated to America and settled in California, but remained in correspondence with the British Medical Journal from both San Francisco and New York. A further book, published in San Francisco, was Female Health and Hygiene on The Pacific Coast (1876) and a Polyclinic Lecture on The problem of the Sewerage of San Francisco was also published. In San Francisco he was a member of the San Francisco Microscopical Society: the Society’s archives (now in the Bancroft Library of the University of California Berkeley) include an undated manuscript of a study by Stallard: On some pathogenic bacilli. The death of Stallard does not seem to have been registered in England and Wales, and the British Library catalogue entry for The True Basis of Economics does not have a date for his death, but merely records Stallard as the co-author describing him as “of California”. However, the Directory of Deceased American Physicians records the death in 1899 of a “J. Stallard” but with no further details, which seems very likely to have been him. Main Sources: UK Censuses 1841 – 1871; Births, Marriages and Deaths Index (Bedlington, 1848); British Medical Journal; Register of the Fellows of the Royal Medical and Chirurgical Society; catalogues of the British Library, Library of Congress and University of California Berkeley Library.